1. I think I can't take much more of election season over here. On the one hand it's pretty fun to watch it all unfold. Callum is passionately interested in politics, and Neel and I are glad to see that. I'd say we've inspired it to some extent. We want him to be civic minded and interested and involved in his country and community. I'm watching the polls the debates and volunteering and getting mad at the tv. All the things you're supposed to do during an election cycle, but I'm not sure how much more my heart can take. Annie had asked if I'd write a political post, and I do have pictures from a rally we attended a few weeks back, but ummm, ahhh....politics. That's a hot mess, man. I'm not sure I want to open up that kettle of fishies. What I will say, passionately and unequivocally, is that I care very much about voting. As a woman, I especially care about voting. There are women (and men) who worked hard for me to have this right and some even died for me to slide into that booth. There are still people, men and women, who don't have this opportunity and who long for it. But why am I going on and on? This video says it much better than I can. Obama, Romney, Green Party, Purple Party, even though I can't really say that I don't care who you vote for, really? I mostly care that you just go and vote. 2. I think I'm still working on my three words. How are you coming along? I tried to convince someone yesterday that given the fact that she'd told us about three words and I'd seen that video suggesting five words, I should really get eight words, but she wasn't buying it. 3. I think I may just have to own this food photographer bit. What's holding me back? Yeah, I don't know. Do I think it means I can photograph anything else ever? I don't think so. Does it mean that this is my only niche or that I can't take other jobs? Not necessarily. But is it what I get really jazzed about, feel instinctively the most comfortable with, dare I say it, the most turned on by? It might be time to just own that and roll with it people. 4. I think I'm really tired. Neel is having about one of the craziest months of his career (am I calling that about right, babe? ), Callum is hitting the books hard and the track hard, and well, he's 13. He hits life hard! I'm feeling like I'm juggling about a bajillion things at once, and while they're all pretty awesome, we're all pretty beat. Oh, and we have to paint the bathroom this weekend. 5. I think, despite all of that fatigue (election and otherwise) this was the only picture I could have picked to represent this week. 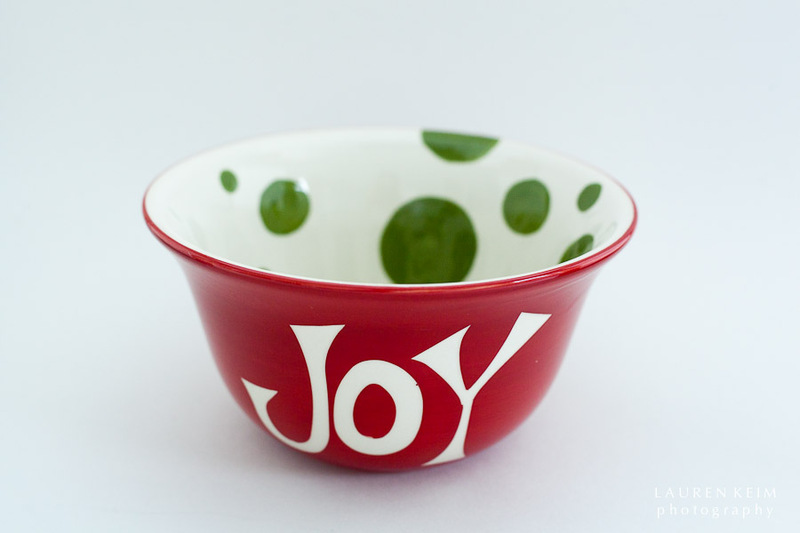 It's a product shot I did for Selma's, and I love these holiday bowls. I've had a spectacularly wonderful week. Scuffs toe, beams and blushes. There are some details to unfold in coming weeks, and nothing is that big a deal, just lots of little bits of wonderful that added up to feeling energized and filled with joy. Lunch with a friend who is also a client (You've seen her macarons here, have you not?) has me excited and energized beyond belief and other meetings have my creative spirit humming. I've rarely been home; my house is a wreck, and my studio barely functioning, but I pulled seven splinters out of my finger and thumb all by myself so clearly I am a rockstar. And today I get more bread.